For details of the Heywood Chess Congress visit www.heywoodcongress.org.uk. 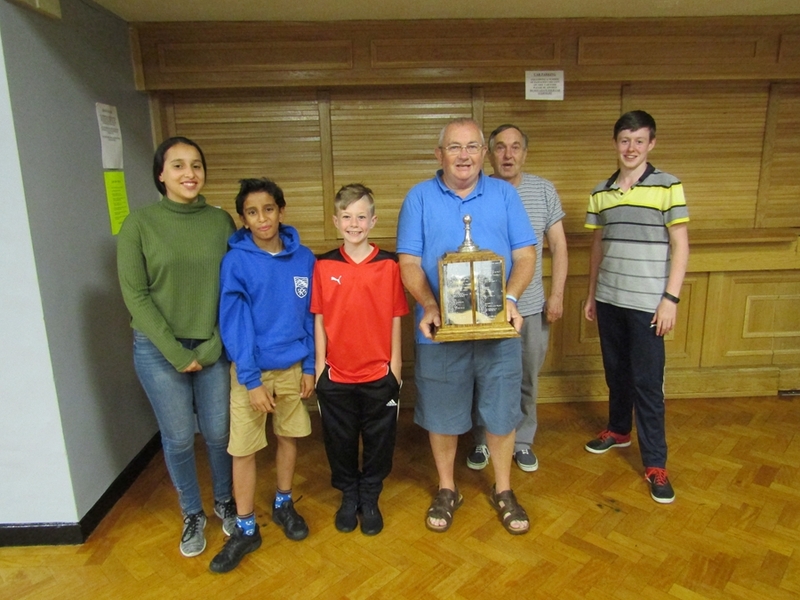 Welcome to the Heywood Chess Club website! Since 1995 we have been meeting in Heywood to play chess. We have members varying in strength from novice to grandmaster and therefore are able to cater for all levels of experience. We are currently entering 12 teams in the Bury & Rochdale, Central Lancashire, East Lancashire and Manchester Leagues. We play at Hopwood Constitutional Sports and Social Club, an excellent venue less than a couple of minutes from Junction 19 of the M62. 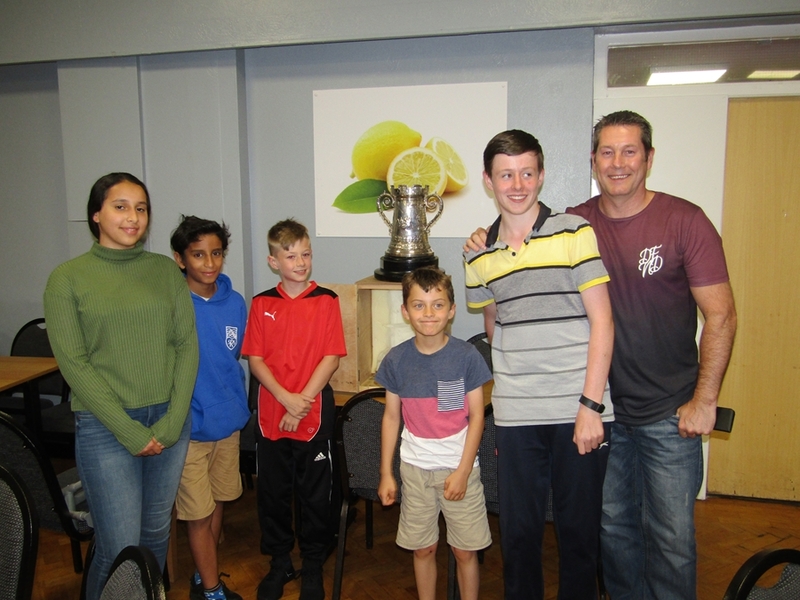 Besides the function room where matches are played, there is also a large lounge room available to all Heywood Chess Club members for relaxation. Club night is Wednesday evening, with games beginning at 7.30. Why not ask your friends or work colleagues do they fancy playing chess? Everybody welcome, whatever your age. If you would like to visit one evening, please get in touch via our Contact Us form. We look forward to meeting you at our venue. 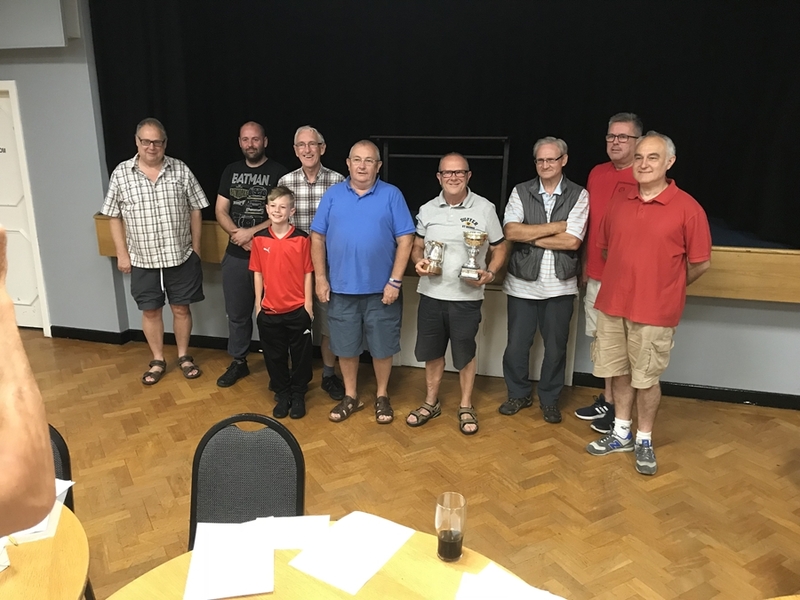 Above at our 2018 AGM members with some trophies won this season. The 2018 Central Lanc's League 'B' Champions and Cup winners with trophies. The 2018 Manchester League Div 'E' Champions with a rather heavy trophy! 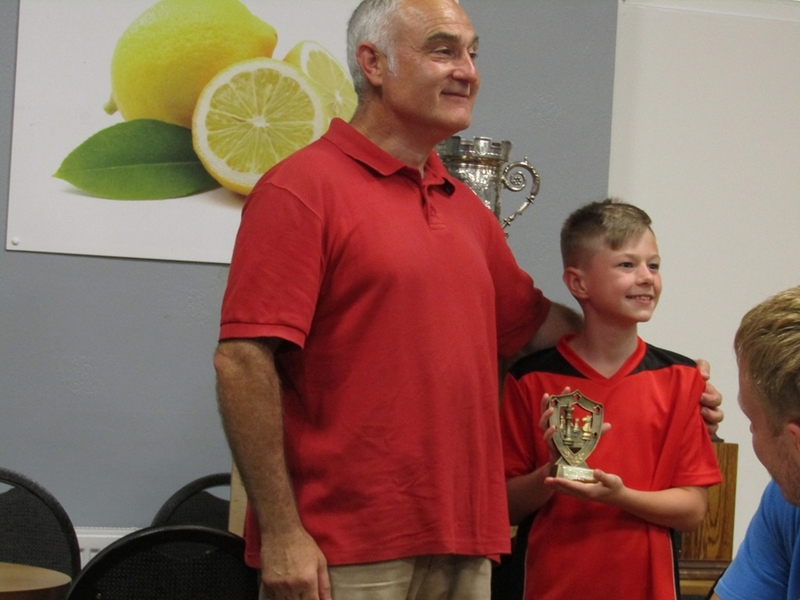 Our Club President Bill O'Rourke presenting the most improved player award for 2018 to Kyle Pelling. Some of our 2018 youngsters with non playing captain of Heywood '6' team Vic Pelling. 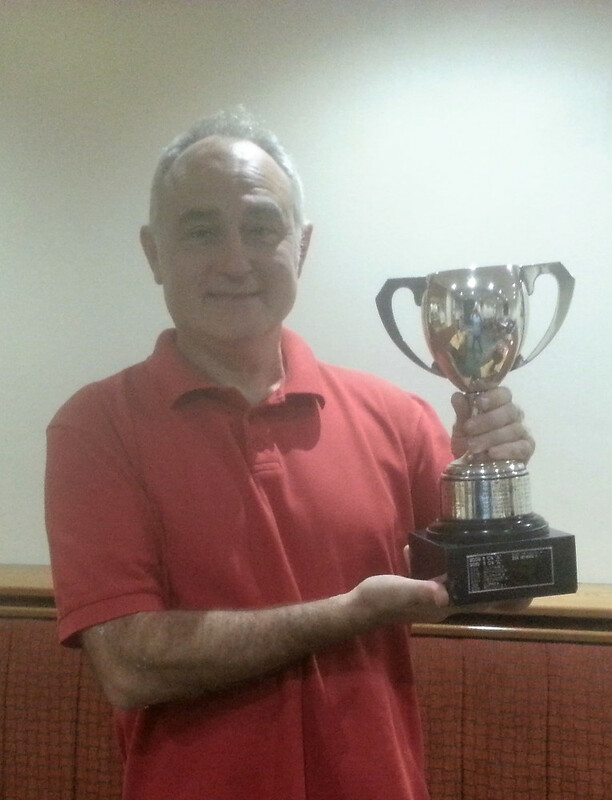 Captain Con Carey with the Bury & Rochdale Second Division Trophy 2018. 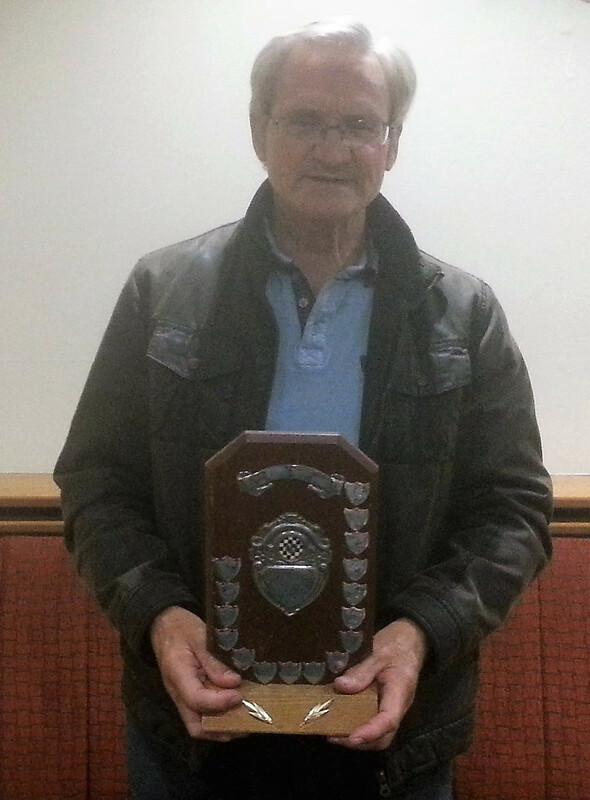 Captain Bill O'Rourke of Bury & Rochdale First Division 'A' Team with the Rapid Play Trophy 2018.